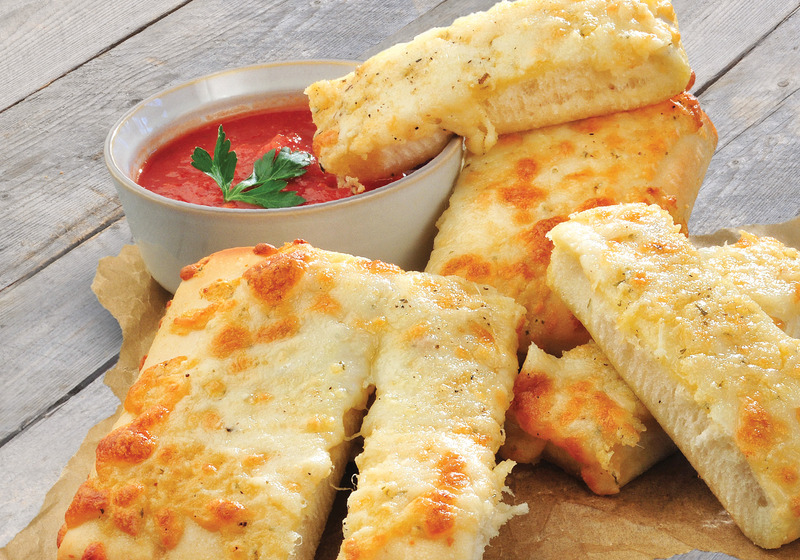 Walk into any of your competitor’s pizza restaurants, take a look at the menu and you’re likely to see two items: frozen breadsticks and garlic bread. And while it’s true that these are two essentials to any pizza menu, sometimes customers tire of them and need something else. If you’re finding that’s the case in your own restaurant, consider adding pan fried dough to your menu. It’s easy, and you can use the same retail pizza dough that you’re buying now. Place a pizza dough ball into a large bowl and mix with: extra-virgin olive oil, minced garlic, dried thyme, dried rosemary, and a generous sprinkling of sea salt. Work the additional ingredients into the dough as much as you can and then form it into the shape of a circle that will fit into the bottom of your skillet. Using a non-stick skillet is fine, but a cast-iron one is preferred for this job. Before placing the shaped dough into the skillet, place the skillet over high heat for about one minute to preheat it. Place the dough into the hot skillet and drizzle with more olive oil. Turn the heat down to low, and cook for about five minutes. Check the bottom occasionally and when brown, flip and cook for another five minutes. Take the bread off the heat and allow it to rest for a few minutes (enough time up in the order window should be enough.) Then, just serve that delicious bread up to your customers and give them a treat that’s far better than plain old garlic bread!